Today on the show we welcome Kate Boyd. Kate is the Founder of Cobblestone Creative Co and does this girlfriend know conversions! After raising seven figures in revenue for a non-profit organization through powerful messaging, copywriting and marketing she started her own business that helps build more creativity and genuine connection to the digital marketing space. In just three years she has built three profitable online businesses and created live and automated sales and marketing experiences that convert up to five times the normal rates! Kate is a serious conversion expert and in this episode she shares a lot of helpful tools, tricks and resources for you to use for an upcoming launch or perhaps to help you analyze an “unsuccessful” launch that you’ve had in the past. We are talking all about increasing conversions and humanizing your launch so that people trust you more and feel more involved. We discuss how you are priming your audience, how you are getting their mindsets ready for the sale and how to have an aspect of personal outreach included in your automated strategies in order to make your next launch even more powerful. Grab your notebook and be on the lookout because we might be trying out some of these tactics for our next launch… and you can too! The online industry is changing and developing and things haven’t been working as well as they have been in the past, when it comes to launches, marketing campaigns, social media ads etc. Now, you are often having to pay more to get the same results you did before. So we’ve really had to go back and adjust the way we look at launches. This is what Kate considers to be really fun to work through with her clients. The first thing Kate advises is that when you are looking at your launch, even if it didn’t go as well as you think it should have, it’s still not a failure because you get so much great information and interaction from that. There is nothing like a launch to harness more information about your business, your products and audience super quickly. If your launch “fails,” call your best friend, have your cry fest and then go look at the numbers! What did it actually tell you? You have permission to grieve, yes, but don’t let that keep you from launching in the future or putting yourself out there more. It doesn’t mean that you’re a failure, it just means that something went wrong somewhere along the line and you just need to go back and track where that is. When it comes to a launch, the first key thing that Kate does and advises, is building a relationship long before the launch. You don’t drop-knee and propose (usually) on the first date, right? So why throw a launch at an audience who you have not built a relationship with first? It is a long process of getting to know people and so Kate is really focused on getting people in earlier, whether that is paid or organic, rather than cramming people in right at the last minute. Then, she is very strategic about the content that is used leading up to the launch. Kate uses priming content which allows her to adjust the way people are looking at the problem that the launch product or service is working to solve. This comes before they even get to the point of telling them that there’s a product to solve their problem! So this first key step is really about being intentional about where you get colder leads in and how those people are treated leading up to the launch. You have to build your foundation first. Content creation falls into three starting categories, according to Kate. Those are: mindsets, myths and mistakes. Mindsets: So what are the mindsets that are keeping people stuck? Why haven’t they taken action on this before? Myths: So what is going on around them? What are the things they believe about their industry or a particular action? Mistakes: What are the little mistakes people are making along the way? What can people do better? This is where Kate starts the brainstorming process with her clients. When it comes to delivering this content, it depends on the business and their main medium. But for you, the TCC audience, we’d take a look at video, written blog posts and podcasts. Kate delivers content through social media but also primarily through email where topics are addressed more in long form. Warming your audience up depends on a lot of various factors, such as price point. For example if you are selling a $10 coffee mug, you are probably not going to need three weeks to warm your audience up. But if you are selling something that costs $2000, you might need 4-8 weeks. No matter where people come in throughout the process, you need to focus on that relationship. Not just for this launch but also for future launches. If someone doesn’t buy this time, if they are interested, they might very well buy at the next launch. So think long-term sister! It’s not just the products you sell that set you apart, it’s also you as a human being. 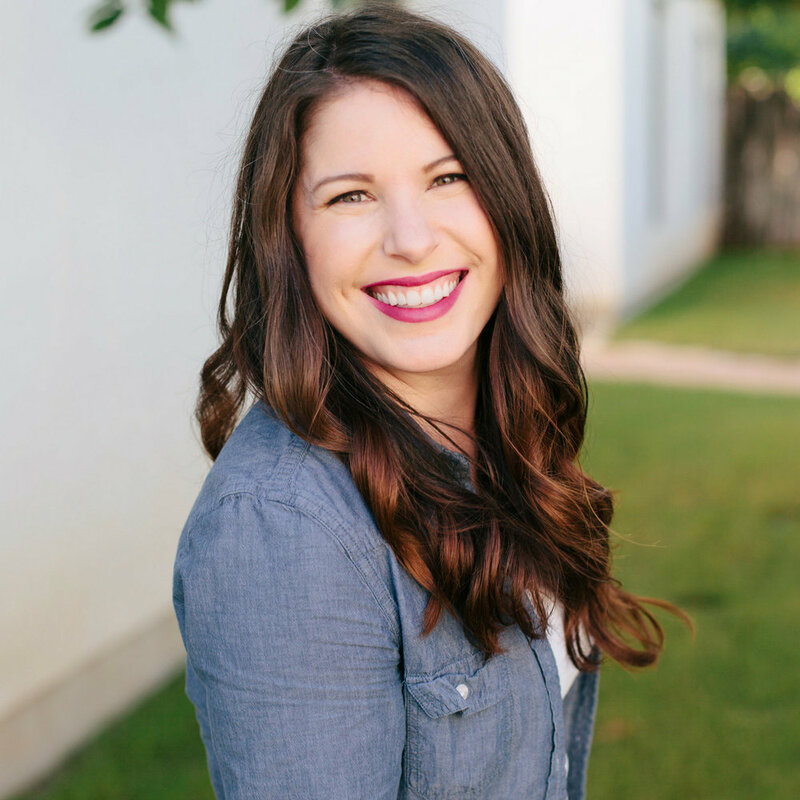 When Kate works with her clients, she uses something called a content funnel framework and that focuses on being the human part of you. Nobody is going to buy something from you if they don’t actually like you! They have to connect with you in some way, whether that is through personality, through stories, or values, or similar life experiences that you’ve had. What is the personality of your business? It’s not just the products you sell that set you apart, it’s also you as a human being. It’s helpful to find personal outreach opportunities and if you are able to track your data, this becomes easier. If you know how a person behaves before they buy, you can use that information to send them a personal email before the launch that says, “Hey, we noticed you are interested in these things, we’ve seen you in our community, we really appreciate your input and we think that this might be a good fit for you and here’s why.” These email connections can be automated into your launch or it could be super personal. A lot of the time, when you reach out personally to people who have shown interest, it converts really well, no matter how big or how small your business is. If you actually sit and think how to build relationships, the conversions of that are going to be far greater than you trying to reach out to thousands and thousands of people, in an unpersonalized way. This way you will increase the lifetime value of your customer. It’s keeping that longterm game in mind that is really important. A) Being aware of people’s activity. Monitoring who is buying your product but not checking out, for example, and reaching out to those people. B) Look at doing a down sell after a launch. So for people who went through the whole process but didn’t buy because maybe they didn’t have enough money or it wasn’t the right time – giving a portion of the product or something of value to them, to encourage them to come back. C) Be really present in your launch. You want to have enough automations set up so that you are not too frantic but you also want to be on top of everything and make connections with people. It’s about striking a balance between automated and personalized. So go on and do those Instagram stories or live videos – things that are personal, that put your face out there, so that people do feel involved. D) Incorporate feedback loops. Especially early on in the launch. So asking people visiting that sales page if they have questions. What are the questions people are asking? Answer them. Maybe in the form of a live video or images. Because these queries may be pushing them out of the program. There you have it! Try to pre-validate the product that you have. Find personal ways to reach out to people. After raising seven figures in revenue for a non-profit organization through powerful messaging, copywriting and marketing, Kate Boyd started her own business Cobblestone Creative Co. to focus on bringing more creativity and genuine connection to the digital marketing space. In the three years since, she has built three profitable online businesses and created live and automated marketing and sales experiences that convert up to five times the normal rates. Kate developed her signature system, Conversion with Compassion, to help solopreneurs use human-driven communication and behavior-based targeting to get the right message to the right people at the right time in order to create conversion opportunities. This method focuses on high conversion rates that can effectively leverage audiences large or small.